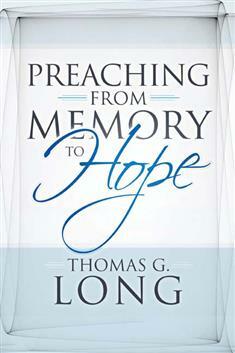 In this compelling and hard-hitting book, respected preacher and teacher Thomas Long identifies and responds to what he sees as the most substantive theological forces and challenges facing preaching today. The issues, he says, are fourfold: the decline in the quality of narrative preaching and the need for its reinvigoration; the tendency of preachers to ignore God's action and presence in our midst; the return of the church's old nemesis, gnosticism--albeit in a milder form--evidenced in today's new "spirituality"; and the absence of eschatology in the pulpit. Long once again has his finger on the pulse of American preaching, demonstrated by his creative responses to these challenges. Whether he is calling for theologically smarter and more ethically discerning preaching, providing a method of interpretation that will allow pastors to recover the emphasis on God in our midst, or encouraging a kind of "interfaith dialogue" with gnosticism, he demonstrates why he has long been considered one of the most thoughtful and intelligent preachers in America today.